79% of Hong Kongers don’t understand the true cost of international money transfers, a recent survey has found. Of those interviewed, only 21% of respondents were able to correctly identify the full cost of sending money abroad – which involves both an upfront fee and an exchange rate mark-up. The remaining 79% couldn’t name one or both of the fee components or said they didn’t know. 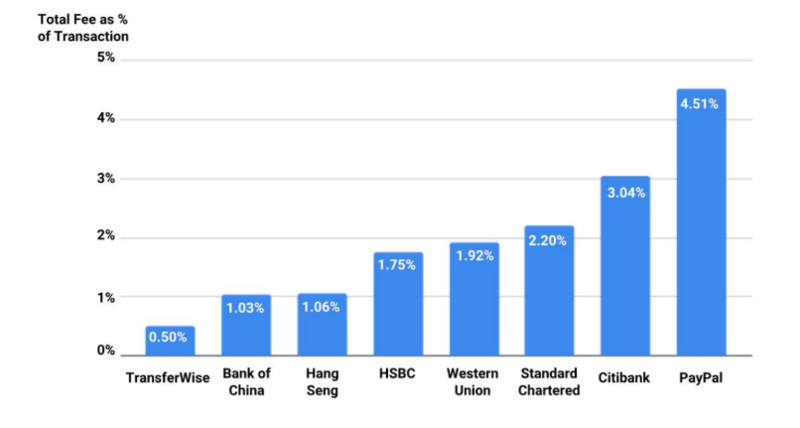 In all, 52% of Hong Kongers didn’t know there was typically an exchange rate mark-up charged when sending money abroad. When asked to estimate the average fee to send about US$1,000 overseas, 78% of respondents got it wrong. Of those, half underestimated the fee, while the other half said they didn’t know. Furthermore, young people are especially vulnerable. Among those aged 18 to 24, the share that doesn’t understand the cost of international transfers goes up from 79% to 87%. 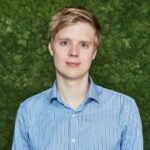 Since its launch in the Hong Kong market in July 2018, TransferWise has been fighting hidden fees. TransferWise always gives customers the real exchange rate (that is, the live mid-market rate you see on Google). It then charges on top of that a small, fully transparent fee for providing the transfer service. 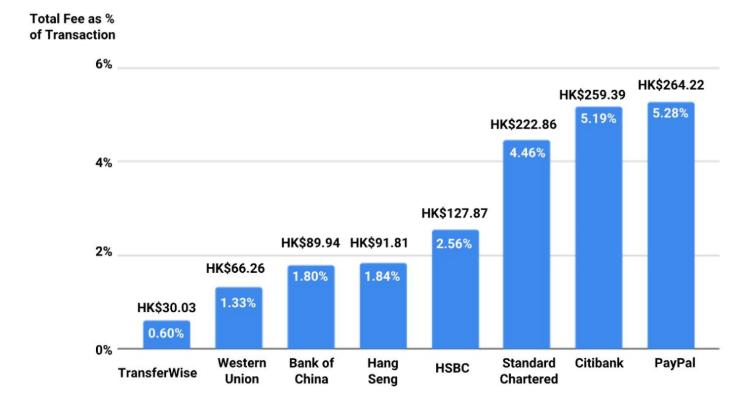 For example, the TransferWise fee to send money from Hong Kong to the UK is 0.40% + HK$10. 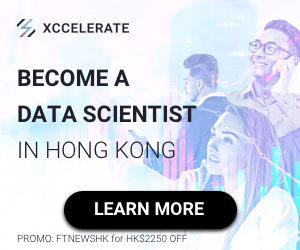 That means it costs just HK$30 to send HK$5,000 to the UK, compared to an average of HK$159 among 7 major competitors. PayPal, the most expensive option, charges HK$264 for the transfer (see Figure 3). Figure 3: How much does it cost to send HK$5,000 to the UK? ● Transparency in international transfers was rated the 2nd most important factor by Hong Kong respondents, with 65% saying it is one of their top three factors. 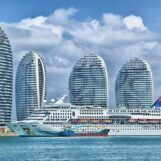 ● 75% of respondents said they had made an overseas transfer before. 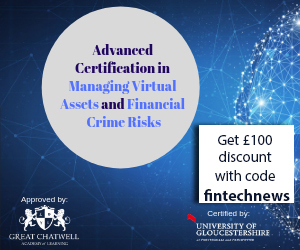 ○ The experience of doing a remittance did not seem to help most consumers understand the fees, which suggests they were probably confused at the point of making the transfer. “Banks make it easy to understand the true cost of sending to and receiving money from abroad”. Hidden fees in international money transfers have come under the spotlight in recent years. A March 2018 study by the UK’s Behavioural Insights Team was commissioned by the UK Government to look into hidden fees in foreign exchange transactions. 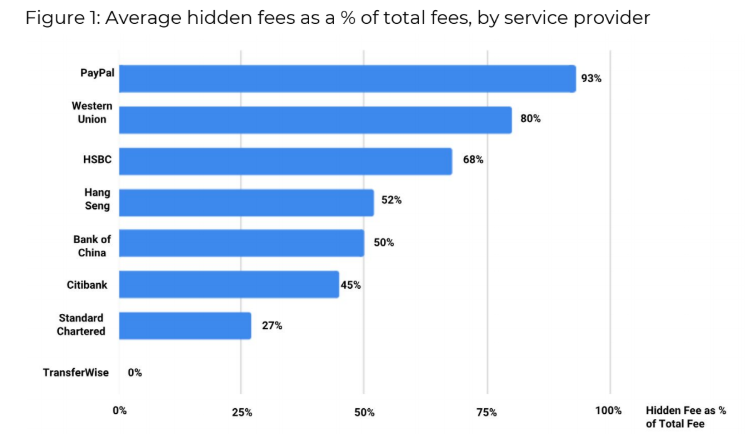 The study found that hidden fees drive poor decision making by consumers: An experiment in the study saw the proportion of people choosing the best option falling from 69% to 42% when fees were hidden. In Australia, the Competition Commission has launched an investigation into the misleading practice. Research had shown Australians were losing A$3.1 billion a year to hidden fees. In Europe, the figure is €12.5 billion euros. The European Parliament voted in November 2018 in favour of mandatory transparency for cross-border payments. 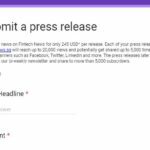 Regulators in other parts of the world should also consider updating their laws and regulations to give consumers the transparency they need to make good financial decisions, TransferWise believes. fees in exchange rate mark-ups. PayPal is the company that hides the largest percentage of its total fees – 93%. This means that, on average, for every $100 in fees that PayPal actually charges, there is a hidden fee of $93 – in the form of an exchange rate mark-up. Only $7 is presented as a fee to the consumer. HSBC is the bank with the highest percentage of hidden fees – 68%. TransferWise is the only player charging zero hidden fees (see Figures 1 and 2). 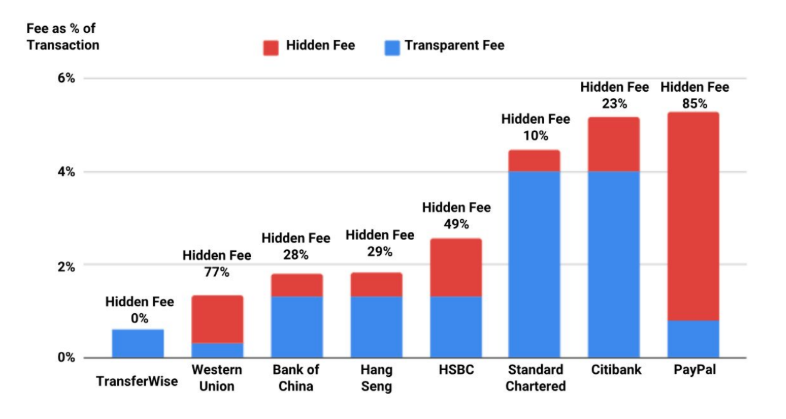 Figure 4: Sending HK$5,000 to the UK – how large are the hidden fees? ● PayPal charges the highest fees – HK$264.22. ○ Yet, they claim to customers that they charge just HK$38.99. 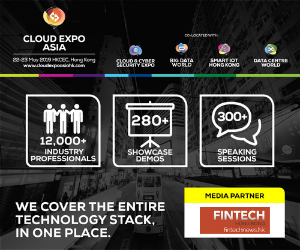 ● Citibank is the bank that charges the highest fees – HK$259.39. ○ Yet, they claim to customers that they charge just HK$200. ○ Their fees are nearly 3 times as expensive as the cheapest bank, and nearly 9 times as expensive as the cheapest option. ○ They claim to customers that they charge just HK$65, but their total fees are in fact HK$127.87.